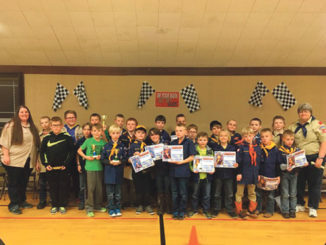 RANGELY — Rangely’s Scout Packs 151, 189 and 191 came together for the annual Pinewood Derby on Jan. 30 to race their handmade cars against one another. Twenty boys in total turned out to race in a double-elimination competition. 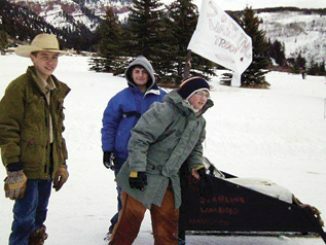 Each race consisted of two runs, unless after both the boys were tied, in which case they’d run again until there was a clear winner. Family and friends came to support the boys in their efforts. In the end, Patrick Scoggins won first place, Kaulan Brady received second and James Scoggins came in third. An award for sportsmanship was given out, a die cast car donated by Carquest, and the recipient of this award was Troy Allred. 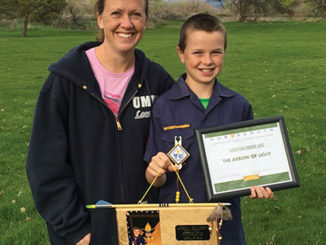 A special “helping scout” award was given to Jordan Fiscus. Each of the boys received a ribbon for the design of his car, each falling into a different category. The packs would like to thank Carquest for the cars donated as well as the decorations, and thank Jerry LeBleu for the use of his flags. They’d also like to thank White River Market, Davis Jubilee, Smith’s and Wal-Mart for donating food to the potluck dinner. A big thank you to the hospital and Eagle Crest for donating ice to keep the beverages cold and to Stephanie Udall for making so many calls to get all of the donations.